Pinokio is an exploration into the expressive and behavioural potentials of robotic computing. It challenges our perceptions and emotional response towards what we know as "robots". Pinokio is a robotic lamp "brought to life" using motors and computer algorithms. Imbued with the ability to be aware of its environment, especially people, and to expresses a dynamic range of behaviour. Although the most noticeable aspect of the project is the "life-like" qualities in Pinokio, the other half of the narrative falls on to Pinokio's human audience: how much are they going to be emotional involved with a machine that's seemingly alive? Do they see it as a lamp? A robot? Or an emotional creature? Pinokio is there to question and challenge the preconceived relationship between us human and robots, living beings and machines. 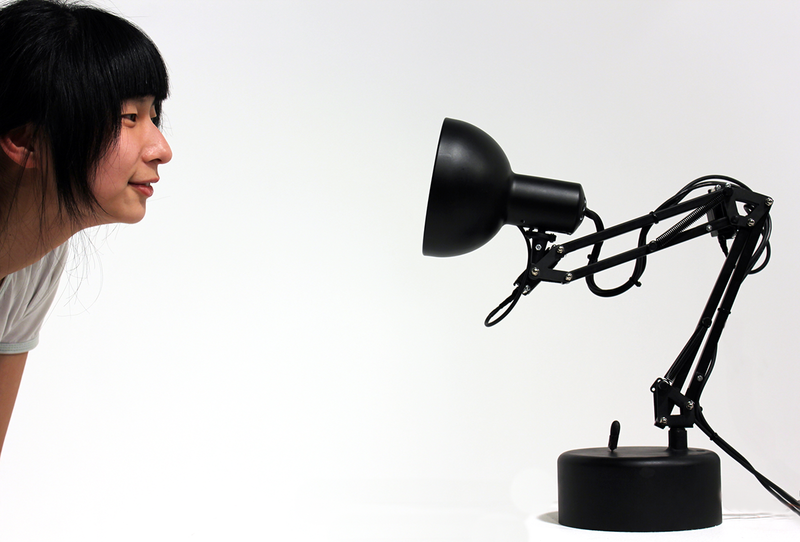 A robotic lamp who interacts with its environment and people. Made with Arduinio + Processing.